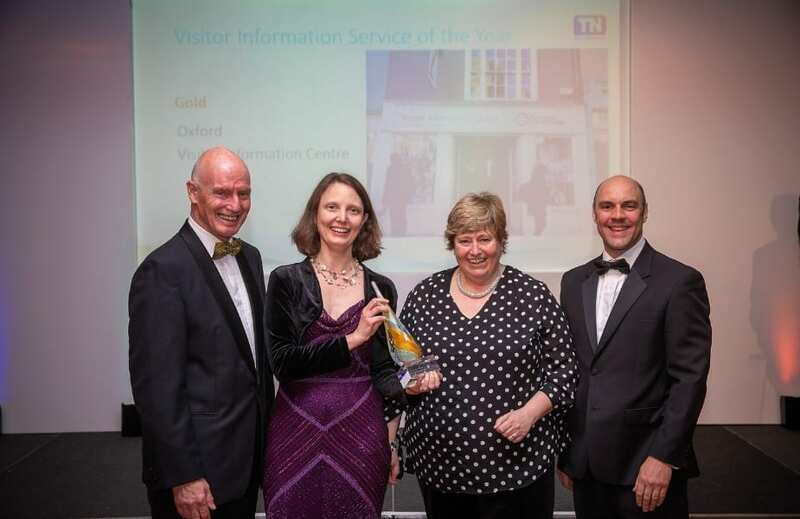 Oxford’s Visitor Information Centre has been named Information Service of the Year at last night’s Beautiful South Awards for Excellence which were held at the Grand Hotel Brighton, while Experience Oxfordshire’s ‘Oxford Official Walking Tours’ was awarded Highly Commended status for Guided Tour of the Year. The awards recognise and celebrate excellence in the tourism sector and inspire other businesses to reinvest and raise standards in quality, innovation and customer service. Our tours are a fun and informative way to learn about Oxford’s history, visit the University of Oxford, and explore the filming locations used in Harry Potter and Inspector Morse, Lewis and Endeavour. All Oxford Official Walking Tours are led by professionally trained green and blue badge guides. Tourism South East work with Services for Tourism to deliver the Beautiful South Awards for Excellence 2018. The Beautiful South Awards are a reminder of the amazing wealth of fantastic tourism businesses and experiences that the South East of England has to offer.